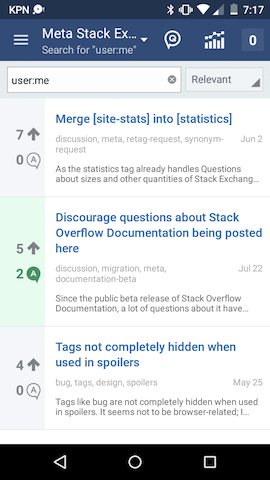 I want to see all my Questions and Answers in a particular SE site - Webmasters - profile page through Stack Exchange Android App. How can I see that? When I tried to see that I found only Top Posts(5) and Top Tags. Not the answer you're looking for? Browse other questions tagged feature-request profile-page android-app . How to see the answers one has given earlier?